When comparing investment opportunities, the time frame for holding the investments and the rate of return during that time are primary considerations. The risk is also a significant concern. Barring fluke markets, for most people, rental real estate can significantly outperform bonds, no matter whether they're corporate or government. Bonds are relatively safe, but the safer the bond investment, the lower the interest rate of return. Government bonds considered almost risk free, have meager yields, frequently below the rate of inflation. Government bonds are easier to buy and sell than real estate, but if you're earning 2 percent and the inflation rate is a mild 1percent, your return on investment (ROI) has been cut in half. Rental property investing consistently yields in the high single digits and often results in double-digit returns. You get the equity appreciation over time coupled with monthly cash flow as rents generally come in at higher levels than the combined costs of your mortgage and maintenance expenses. Many government bonds are not taxed at the federal level. If you opt to move to higher-yield corporate bonds, you'll get higher interest rates. However, you'll have a greater risk of default. You'll also be paying regular income taxes or capital gains taxes on that interest, depending on how long you hold the investment. Real estate, on the other hand, gets some great tax breaks, with the depreciation deduction being one of the best. You get to deduct against income a portion of the value of the property every year. You didn't spend any money, but you get a tax deduction. Combine even a nominal rate of inflation with an income tax burden, and you can take a beating with bonds. Bonds pay a fixed rate of interest over the life of the investment, so purchasing power with that interest drops with inflation over time. Inflation can decimate your returns on even the safest bond investments. Rental property can generate higher rents in periods of inflation. Higher costs of materials and labor generally translate into higher housing costs and thus higher rents. Purchasing power doesn't erode in this scenario. Inflation normally drives up real estate prices across the board. You're reaping your cash flow rewards but also building appreciation over time, which inflation can help. The value of the bond is static, while real estate can increase in value through appreciation. When you think about all the other ways in which rental property can generate returns, it would appear that real estate investment is superior in many respects to investing in bonds. While bonds, especially government bonds, are a straightforward and safe investment, they come at the cost of meager returns. If you're looking for a means of growing not just your annual cash flow but also your assets over the long term, real estate investment is a better bet than bonds. You'll more than cover the costs of tying up your money in property through rental income and the depreciation deduction. 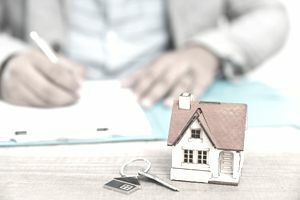 Assuming interest rates do not return to those of the late 1970s-early 1980s, you'll have a property you can sell for far more profit than the interest rate on bonds would have earned you over the same years.